Cellular operators are much reluctant to adopt the biometric system that has been offered by National Database Registration Authority (NADRA) as they have concerns over technical and cost issues in the deployment of new biometric verification system of subscribers and method of purchase of SIMs. Top executives of all cell phone companies recently held a combined meeting to tackle the situation after they were given demonstration and briefing by NADRA on cost of proposed system for transparent verification of SIMs. The new system will be implemented at nearly 200,000 retail outlets countrywide. Pakistan telecom industry official sources said that operators have expressed their reservations and concerns over setting up NADRA based applications containing software and hardware machines. The cost of machines is too high to deploy at hundred thousands of outlets as neither telecom companies nor their retail outlets agents can afford these expensive machines offered by NADRA. 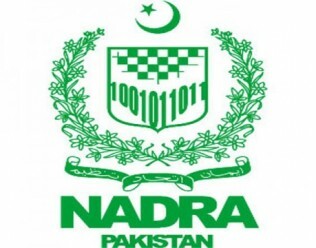 NADRA is offering biometric systems machines along with software at $500 per unit.The high earning telecom companies however says that the cost is beyond the reach of cellular phone companies and spending this huge amount on urgent basis in time frame given by the government is not practically possible. Besides there will be requirement of computer system and Internet service to connect with NADRA system that will add more cost to retail agents and slowdown the process of SIMs verifications and sales ultimately, they added. The cellular phone operators are willing to deploy alternative machines available in the market that are handheld, affordable and secure as well, an official of mobile phone company said. The backend software system of subscribers’ verification of all five operators is different that could create issues for retail agents who can’t sell SIMs of all companies despite having an expensive machine, he added on the condition of anonymity. Cellular phone operators have different choices to set a uniform system in line with directives issued by Prime Minister Raja Pervez Ashraf in the meeting with CEOs of all operators in November 2012. The government instructed to deploy a verification system mandatory matching the thumb impressions of SIMs’ purchasers from its CNIC, an official of cellular operator said. It could be biometric solution with equipment or CNIC swap machine. The deployment of biometric machines is not only expensive for operators but its maintenance is also an issue in the future, which will be additional burden on operators, he said wishing not to be quoted. NADRA’s Official sources said that it recommended variet of devices to cellular operators at a price range of $100 on the basis of machines performance and security features. NADRA also recommended mobile companies to procure devices from desired manufacturers directly.However the cost of devices will directly depend upon number of units each operator wants to purchase. For transparency mobile companies were encouraged to procure biometric devices directly from manufacturers,warranty and maintenance-related issues. In addition to these suggestions,NADRA also proposed single point of sale solution for retailers for upto five cellular operators, thus reducing the final cost for each operator at 1/5. The source of NADRA reported that they have offered a comprehensive interface for integration of mobile phone systems. It is an efficient and standardized system to meet smooth verification process as its interface is generic enough to be installed incorporated in each telecom operators existing software. Pakistan Telecommunication Corporation dropped 4.26 percent to 21.80 rupees where as Engro Corporation was up 4.18 percent to 103.30 rupees.Pakistan stock’s market closed at lower points on Tuesday after amid unconfirmed news that Pakistan Telecom companies may face contempt of court charges on increasing international call rates.